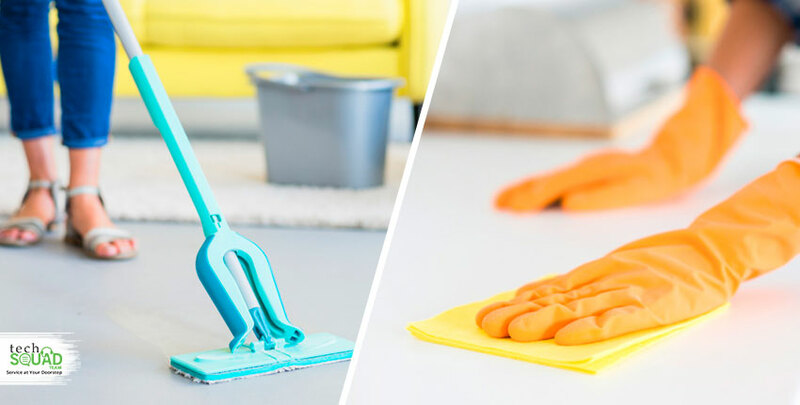 Deep Home Cleaning Vs General Cleaning - Which is better? Are you searching for an assistant to clean your house? Most people prefer to seek the help of their family members or in a few situations, of friends or neighbors. But how long will you be satisfied with their help? Hiring a professional to do the general cleaning or deep cleaning of your home can be a serious decision you have to take. So many questions run in our mind. Like, will they work satisfactorily? What are the places will then clean in our house? Are they going to do all the work for what you are going to pay? How will I know if they are trustworthy or not? TechSquadTeam is a leading organization in handling customer queries related to cleaning, plumbing, electricity, pests control and so on. 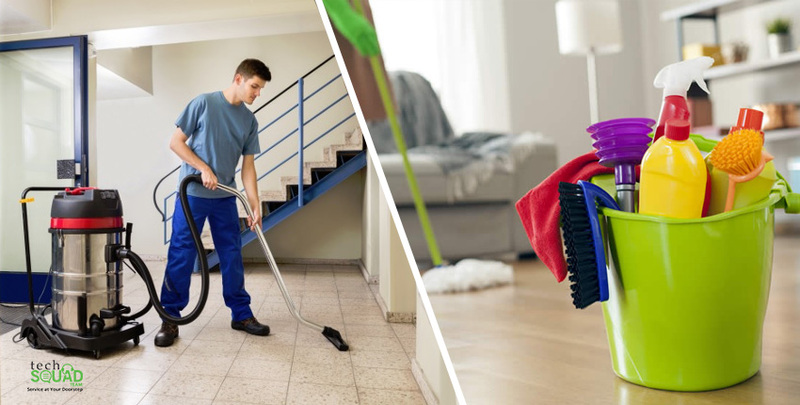 We hire knowledgeable professional house cleaners who are well trained in how to deal with different tools and cleaning equipment. Our so-called cleaners take all the hassles of your home cleaning. We offer client access to all over the Bangalore city with our huge network of trusted service providers specialized in different tasks. We hire those professionals who have an abundant amount of experiences in hand, after doing nationwide background checks. 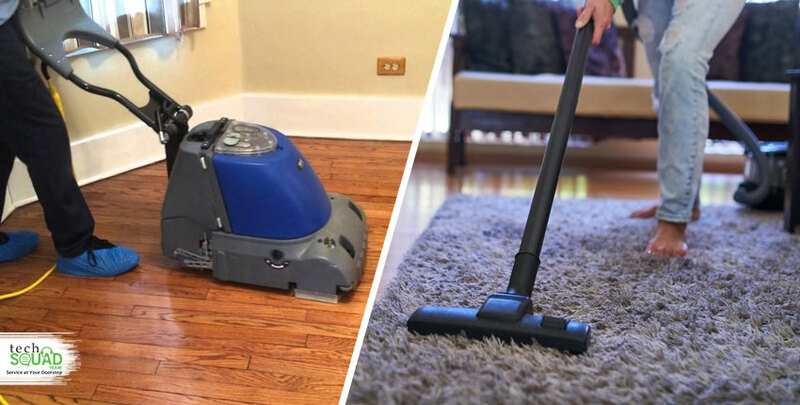 Before putting this house cleaning task aside, look at the differences between general cleaning and deep home cleaning services provided by trusted companies like TechSquadTeam. In this blog, you will have the basic idea about the differences between the cleaning done on a regular basis and cleaning done once in every quarter by experts. The cleaning you normally do on a daily basis is called general or regular cleaning. Through this cleaning, you only look after the outer dusty surfaces of the floor, furniture and other things in your house. When we just dust the decorative pieces, tables, chairs using a piece of cloths. We could remove the outer layer. But due to this dry dusting, the dirt and dust sit in every nooks and cranny of the house. However, in deep house cleaning, the other things of your house which you don’t dust or wipe often, those items are cleaned. Such equipment like ceiling fans, microwaves, kitchen and bathroom exhausts, oven, washing machine, roofs, etc. These things tend to attract dust and gather it in such a way that regular dusting cannot clean the surface completely by simply wiping with dry or wet clothes. Thus, house deep cleaning is essential in every house once in every quarter or half quarter. Professional house cleaning services offer taking care of this grime and ensure your entire house including furniture and other decorative items look new and fresh once the cleaning is done. Normal bathroom cleaning and many more. Vacuuming and scrubbing of all floors and many more. Thus, whatever your cleaning requirements, just book an appointment with our expert cleaners and experience how easy the cleaning work can be.